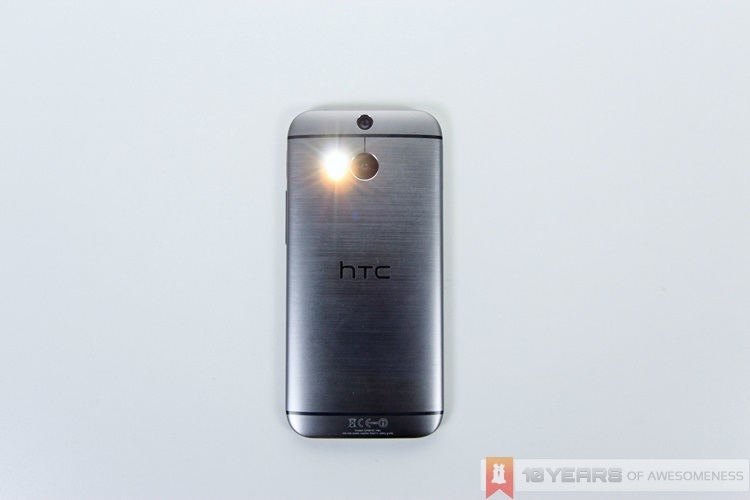 The HTC One M8 will be launched in Malaysia this coming Thursday, and is also expected to be available for purchase immediately after the launch event. Local telco Maxis has just been announced as the exclusive local telco to offer HTC’s latest flagship smartphone as part of its postpaid plans, offering the device from as low as RM1399. Just as it hinted earlier this week on its Facebook page, Maxis is offering the HTC One M8 across all of its postpaid plans, from the data-centric SurfMore 30 and 50 to the coive-oriented TalkMore 28, 48 and 78 with bundled mobile Internet. As usual, you can opt for either 12- or 24-month contract durations, with the longer contracts offering higher rebates for the One M8. The greatest amount of savings for the M8 can be had for the 24-month TalkMore 78 plan, where you can get the device for only RM1399 – RM1000 off the retail price. What’s more interesting, however, is the fact that the M8 is the first HTC device in an agreement between HTC and Maxis, where Maxis will be the exclusive local telco to offer HTC devices in its postpaid plans. More HTC devices are to come in this agreement, which will also see Maxis offering a new, “best-in-class” after sales service, offering “one of the fastest” guaranteed turnaround time for warranty claims via Maxis outlets. Still undecided on the HTC One M8? Check out our review for more.